This switch was announced on August 14, 2014. 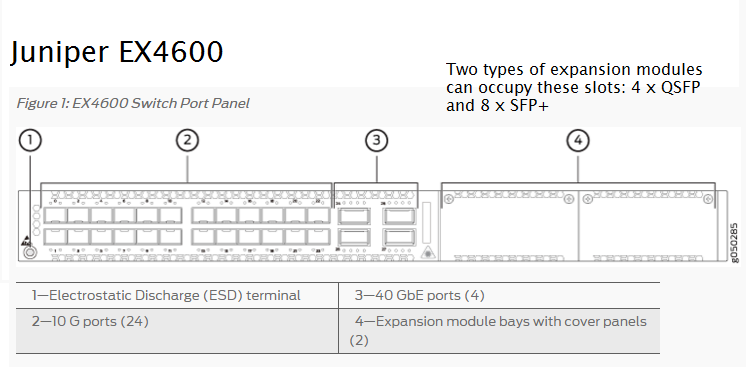 The collection of ports, all on the front panel, has diversity that challenges the ability of Juniper's data sheet writers to coherently describe it. I believe this switch uses a Broadcom Trident 2 switch at its core. Juniper put together an excellent white paper on buffer management that covers several switches that use Trident+ and Trident2 silicon.